It’s nice when you see these luxurious bedroom design by top interior decorators. However, it would be awesome if you could do it yourself, especially on a low-budget. 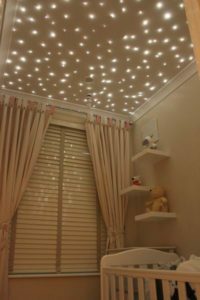 Well, I am here to tell you that re-designing your bedroom can be cheap and easier than you think, that is exactly why I decided to find some cheap, very attractive, creative easy to do DIY ideas for your bedroom. Take a look at these and see which one will be on your next to-do list. 1. Make kids school work decorative. What’s better than using what you have. 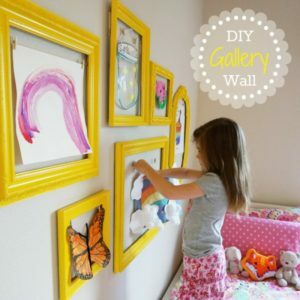 For instance, if you have any kids use their artwork to decorate the bedroom. Framing each work of theirs and put them up around the bedroom. This brings life and joy to the room. 2. Change colour of the room. Try a soothing and relaxing colour that can relax the mind and bring peace to the soul. This is a perfect DIY activity, just choose the colour/s from the hardware store and start painting. Sometimes all you need to do is to think outside the box and you’ll discover something so different but yet brilliant and amazing. 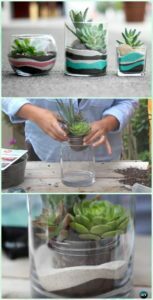 Create your own mini garden which will help alleviate stress. You just need some decor sand, fake plants( anyone you desire) glass container and small bamboo stick. Pour decor sand in a glass container and stick plants in and arrange bamboo stick the way you want them. Place container on your desk. These are so creative and can be used for a variety of things such as to hold long pieces of jewellery, keys or hats. All you would need is a piece of board (cut it to your desired length), a small tin of paint (any colour of your choice), five rocks and hot glue. Paint the board and rocks, allow to dry. Put hot glue on rocks and place the individual pieces on the board, allow to dry. Also, place some on board and place on the wall. When everything is fully dry place items on. 6. Glow in the dark. Wouldn’t it be awesome to have some glow in the dark while sleeping? 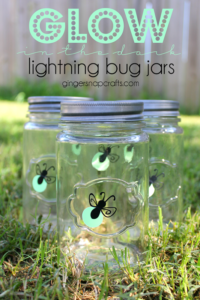 To achieve this you need three easy things; glow in dark vinyl, glass jar and colourful marbles. Cut the vinyl into fine strip put it around the glass jar and place marbles in. Put this on your bedside table. Shelves are good to have but here are some fun ways of making your shelves creative. 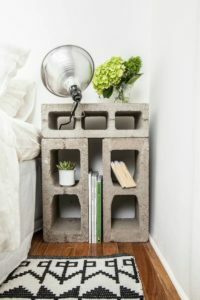 Instead of building your shelves in the old fashion way how about trying different shapes. Even try painting them with colours to represent different books. Tired of your dull lampshades. 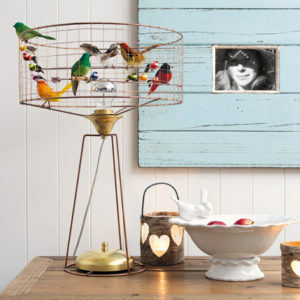 Well, here is a birdcage table lamp that you can recreate. From dull to vibrant. 9. Sleeping under the stars. Just imagine sleeping under the stars in your own bed. To achieve this look all you need is paint, paint brushes, ladder and silver glitter dust. Put glitter in the paint, mix gently. Apply the amount you want unto the ceiling. 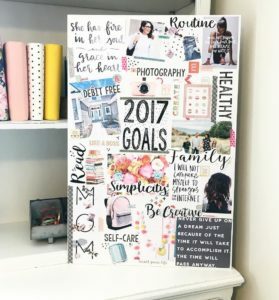 This is a board that will help motivate you. You can write inspirational words on a sticky pad and place them on board or cut out articles from the magazine. This will help you start your morning off in a positive mood. Looking on your bed it may seem dull and boring how about putting some pillows on it. 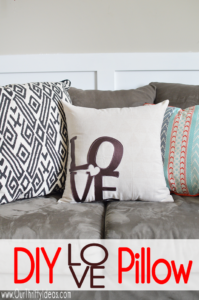 Not just regular pillows but ones that are fun or you can even DIY. Sew your name or embroidery, place buttons in the shape or you name or any desired shape. Why buy a new rug when you could make one. All you need is the material, scissors, needle and thread. 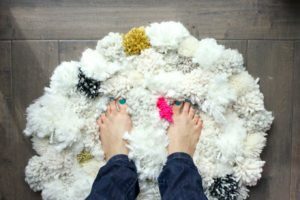 Here is a cute idea to make a pom-pom rug from the Make and do crew.